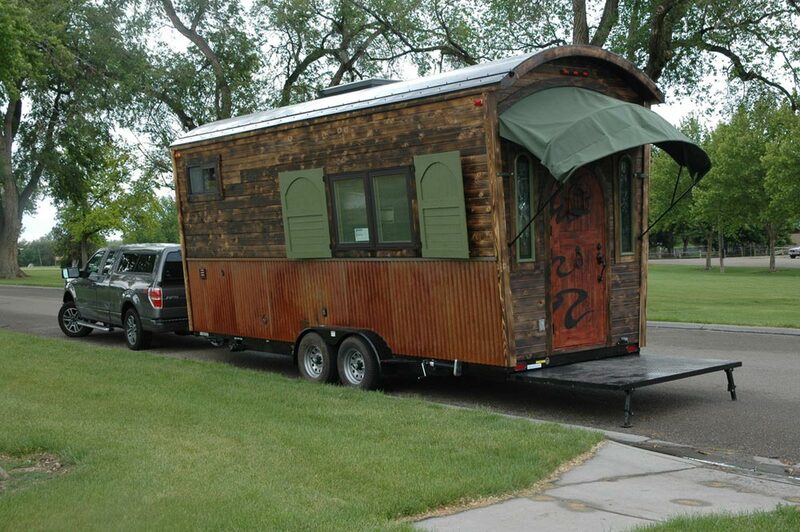 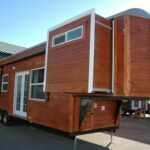 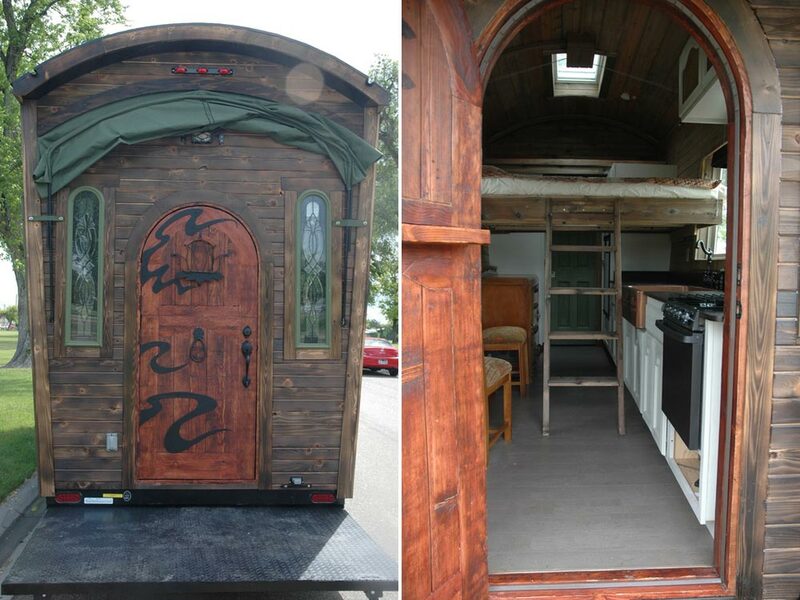 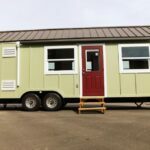 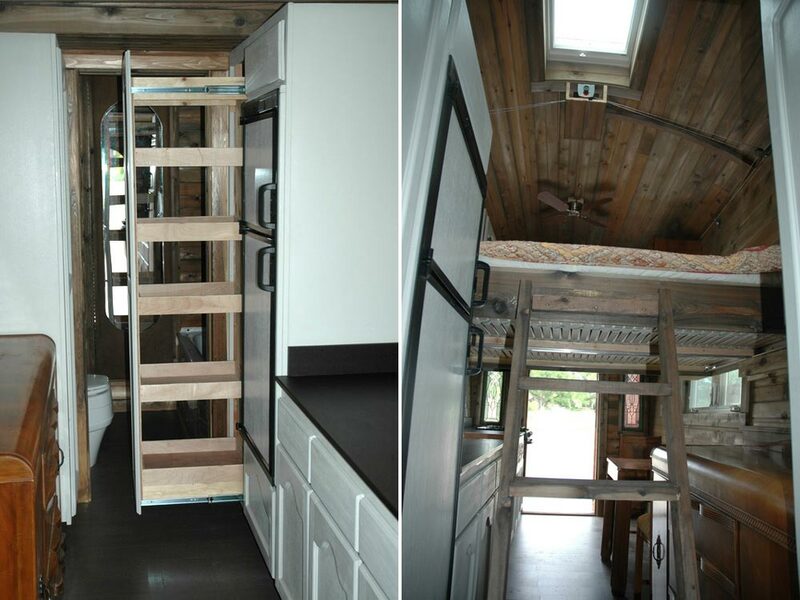 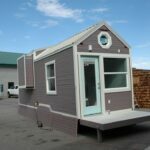 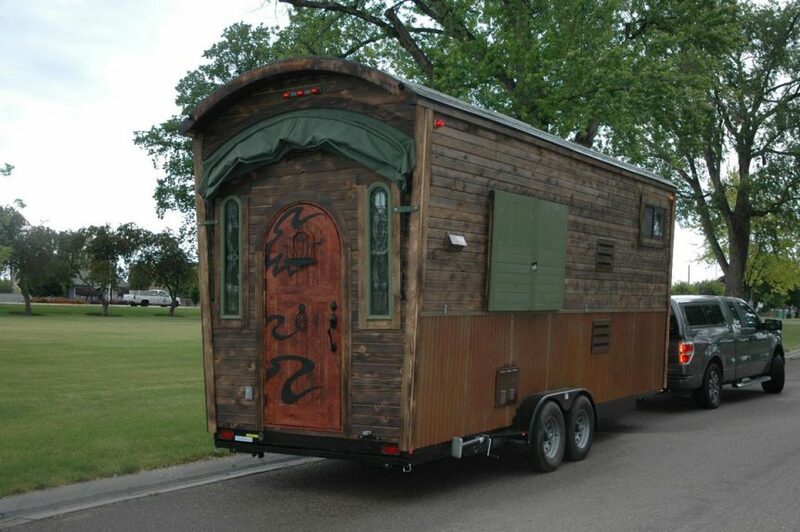 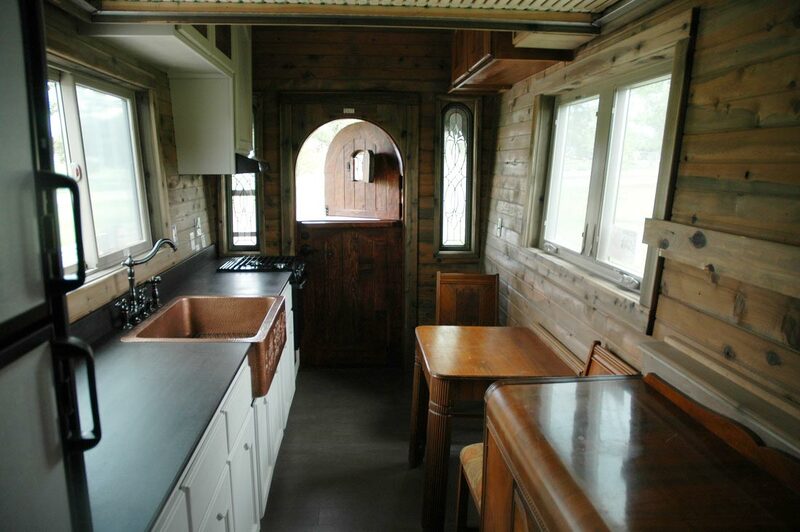 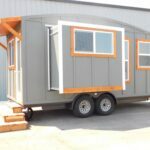 The Zamora Vardo is a custom tiny house built by Tiny Idahomes. 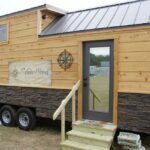 The exterior features burnt cedar and rusted corrugated steel, a metal roof with opening skylight, a rain harvest system, and operating shutters. 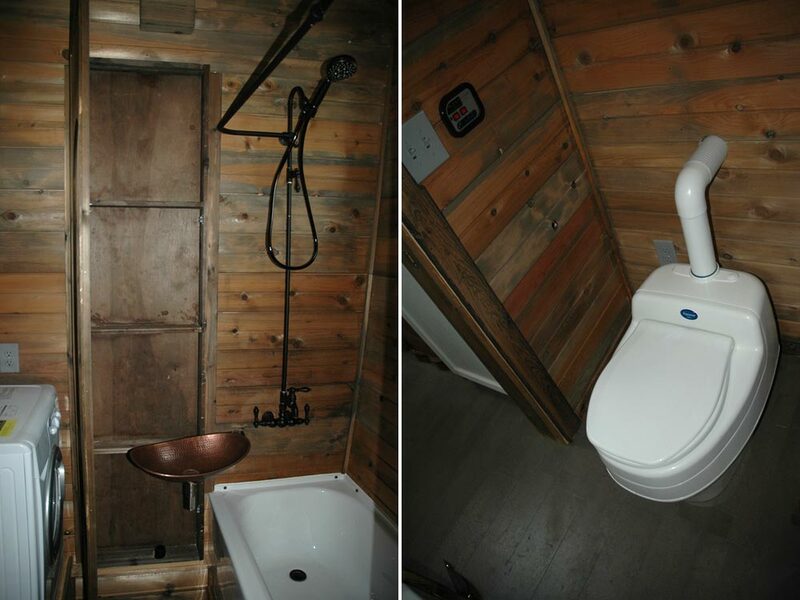 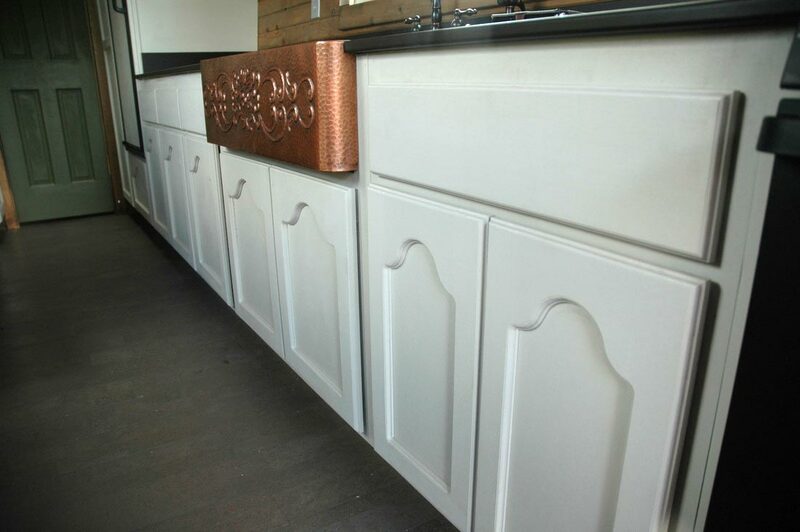 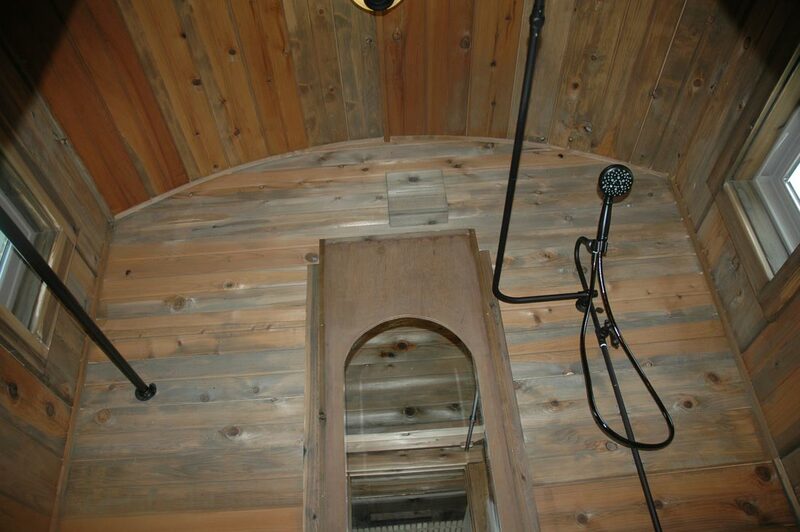 Vinegar and steel wool were used to rust the steel and a custom Dutch door was designed by the owner. 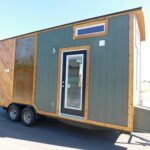 There is also a connection for solar panels. 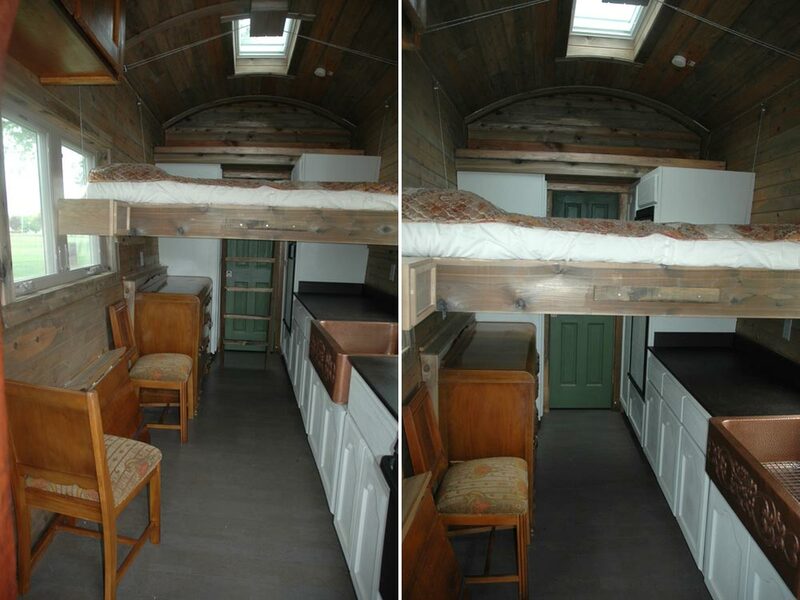 Inside is a unique suspended bed that lowers by remote control. 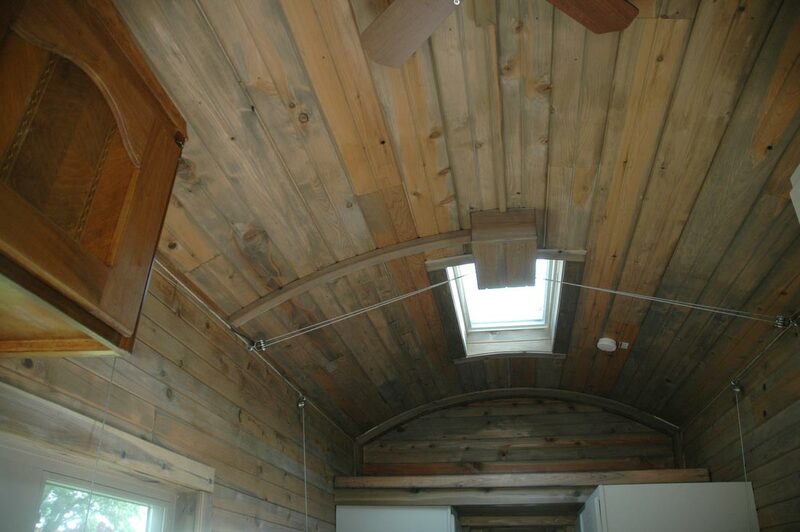 Cork flooring and vinegar stained cedar were used throughout the interior. 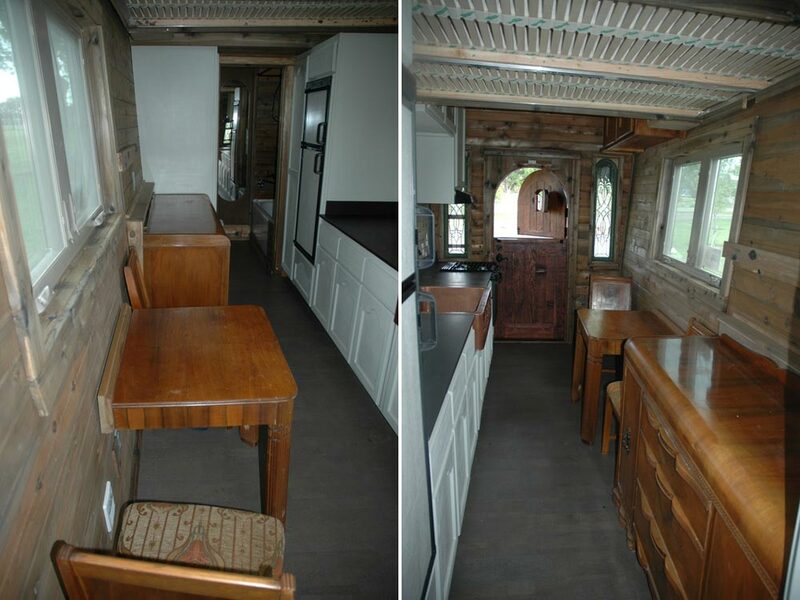 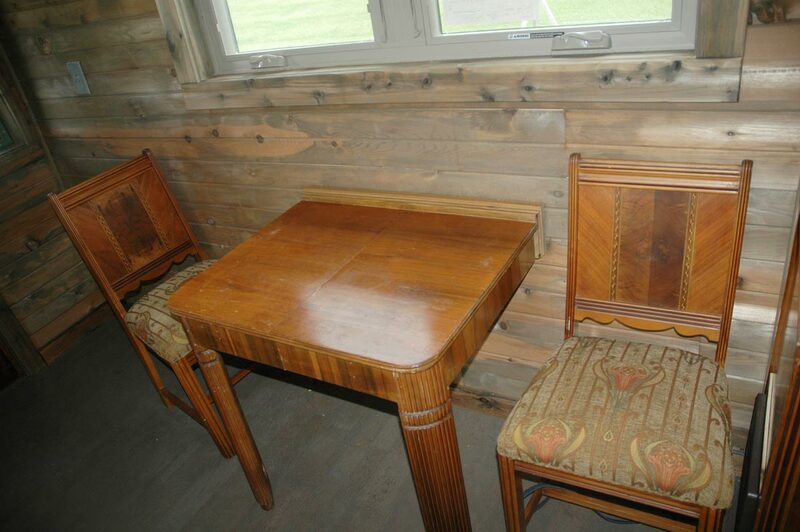 The owner also used her grandmother’s kitchen table and dresser.